Awesome information. Thank you for sharing!!! I can't wait to check this place out! Thank you so much - I'll have to check it out on Saturday. Along this vein, anyone looking for a great Italian deli should check out Mangialardo on Pennsylvania Ave. SE- the sandwiches are unbelievably good. I've heard really good things about Mangialardo, but I have never been there...which may have something to do with the fact that they're only open Monday through Friday until 3 PM. One of these days I'll make it a point to head down there on my lunch break and see how they stack up with Litteri's. Litteri's Italian sub is indeed tasty, but Maingialardo's G Man (and Super G) Sub blows it out of the water. They've been serving it since the '68 riots and they know what they're doing. Whenever I'm in the neighborhood, I always stock up on a few cheap cans of tomatoes at Litteri's, but you really need to check the freshness dates on their frozen raviolis and pastas. Some have been in the deep freeze since they opened in 1932. I've been coming here for over a decade. Some things to add: 1. 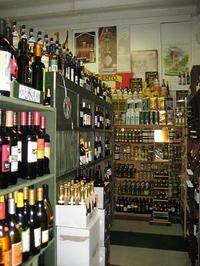 They have the best prices in DC on wine and a pretty good selection too. 2. They carry natural hog casings for making homemade sausage in the refrigerator by the deli counter. 3. I have never gotten a sandwich from the counter because of the wait, but their premade Italian subs in the fridge near the checkout counter are great and not to be missed. Thanks for the tip on the sausage casings, Rubenz! I've never tried to make homemade sausage, but now I know where to go if I do. The pre-made subs are good, but you're missing out if you've never had one made to order - definitely worth the wait. If you have access to a fax machine, you can fax your order in ahead of time and then pick it up in 20 minutes or so. 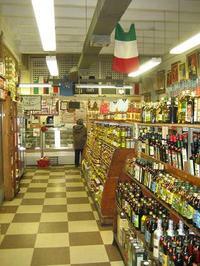 Monkey - I'm sold - Mangialardo's is on my "to do" list for next week! Expect a report in short order. Thanks so much for bringing this place to my attention. I just went this morning, and was blown away! I can't believe I've lived in DC for 5 years without visiting this place before. 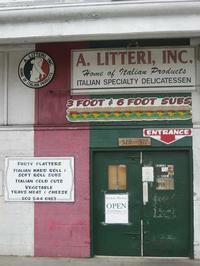 Been going to Litteri's since 1963 for the real stuff, like sausages with fennel. Wine selection getting better but watch the dates for "over the hill" wines. They will accept returns on bad wine, no questions. Fifty years ago I was nine. My mom would pop a wheel of the Italian sausage in the broiler. Some how she knew how to cook the sausage perfectly. 4 time a year she drove me nuts while this was roasting. A real dirty trick.